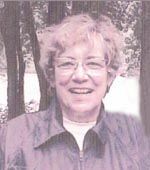 Doris (Merckle) Schaber, 75, of Woodsfield, Ohio, died August 7, 2009, at Marietta Memorial Hospital Marietta, Ohio. She was born in Wheeling, West Virginia, April 5, 1934, a daughter of the late Roy and Jessie Hissom Merckle. She was a graduate Nurse from Ohio Valley General Hospital and was employed by Barnesville Hospital for many years as a Registered Nurse. three grandchildren: Vanessa, Nathan, and Sarah; and numerous nieces and nephews. Memorial contributions may be made to: Hospice of Marietta, 210 N. Seventh St., Suite 400, Marietta, Ohio 45750.